Size of this preview: 465 × 600 pixels. Other resolutions: 186 × 240 pixels | 2,227 × 2,873 pixels. Description: False colors Scanning Electron Micrograph of a Flea. 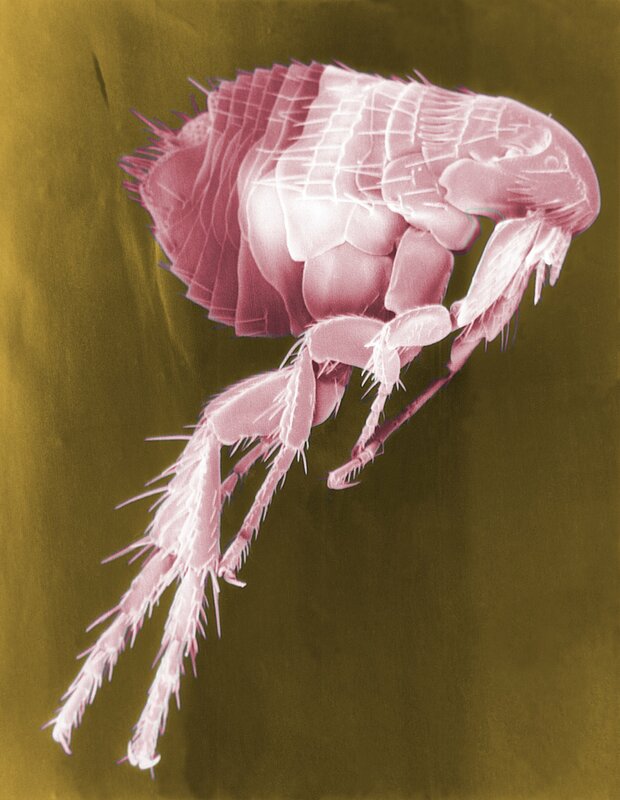 Fleas are known to carry a number of diseases that are transferable to human beings through their bites. Included in these infections is the plague, caused by the bacterium Yersinia pestis. This page was last modified on 22 January 2018, at 01:09.